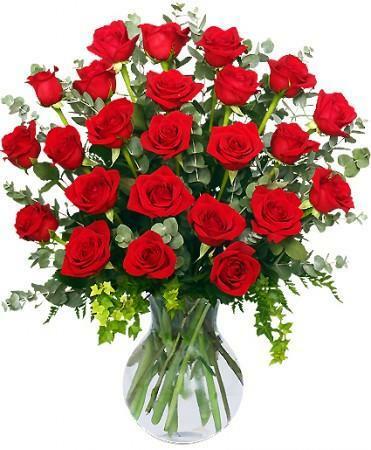 Turn Up the Heat on a New Romance or a Lifelong Love Affair with this Charming Bouquet of Ravishing Red Roses from Distinctive Designs. Small is 1/2 dozen, Medium is 1 dozen, Large is 1 1/2 dozen. 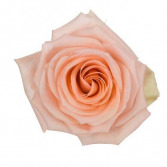 Scroll down the page for other ravishing rose color options. 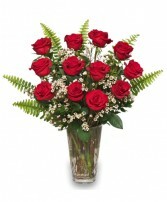 Small is 1/2 dozen, Medium is 1 dozen, and Large is 18 roses. Arranged in a clear glass vase with coordinating filler flower. 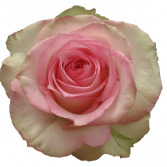 See Classic Roses for general look and feel.